In this regard the manner in which the army transformed itself from a fighting force to a force for reconciliation was remarkable. This was not easy for everyone, and we know that there were those who wanted to continue to treat the rescued civilians as objects of suspicion, who objected in fact to the programme of swift resettlement that government had planned. I myself expected more diffidence about this on the part of those who had fought under difficult circumstances. But I am happy to say that, beginning with the Special Forces Commander in Vavuniya, who was in charge of so many of the displaced in Manik Farm, there was a liberal and humane approach to the problem. 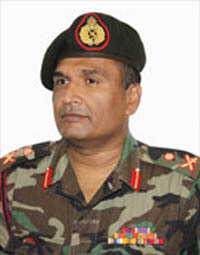 In this regard General Hathurusinghe, who was in the initial period Special Forces Commander in Kilinochchi, had perhaps the most difficult task. He had to commence a programme of resettlement under extraordinary circumstances, ensuring that areas were demined, that basic infrastructure was put in place, and that essential services were provided. That all this was done, and that the programme proceeded more quickly than many of us had dared to hope, is tribute not only to those who planned it, but also to those who implemented it and dealt with all the unforeseen problems that arose. Flexibility and initiative were the hallmark of General Hathurusinghe’s approach, and I was more than impressed by what I found in my several visits to the area towards the end of 2009 and in early 2010, before I gave up the post of Secretary to the Ministry of Disaster Management and Human Rights. Soldiers were working everywhere, quietly, effectively, and graciously. Kovils were being cleaned in time for Thai Pongal, and I was delighted to see the camaraderie between the priests and the military. Houses were being built for those who could not manage on their own, a single mother in one place, an old lady in another, who complained bitterly about her family and obviously saw the soldiers as her refuge. There was assistance with road building and with the cleaning of wells. And of course there was the extraordinary skill with which demining was carried out, so that there has been hardly any casualty in the areas of the Wanni that are being resettled. Though I worried when I saw a UNICEF report a few weeks back about 38 casualties, I found that there were few fatalities, and almost all these in the Jaffna peninsula which had been demined earlier, with some residue left, by international agencies. What we had done in the Wanni, using massive amounts of government money when assistance was slow to come in, had been it seemed much more thorough. This type of care and concern and sympathetic skill needs much more highlighting, and I am sorry the UNICEF report did not make it clear that the resettled areas had all been very carefully and successfully demined for the purposes of civilian returns. Through all this, the continuing pressure must have been wearing for forces that had been full of a very different sort of tension for several years previously, General Hathurusinghe continued not just good humoured, but positively jovial. He built up excellent relations with the public servants who had done so much previously for the people in their charge even when subject to LTTE interference. I have seen him do wonders, working late into the evening, with Imelda Sukumar, who is now again working with him as the Government Agent in Jaffna – and says they work even harder now. But he was as helpful with junior staff, and in particular made sure that education could commence straight away. And when I visited, he ensured that I could see whatever I wanted, while being also an excellent host. But we should also register the importance of his achievement in telling the story so compellingly, that the Philippines decided to honour him with this prize. I have long felt that our biggest problem over the last few years was deficiencies in telling our story, a story that should be an example to the world. It is not enough for this to be done by specially designated spokesmen, those who also work should be encouraged to describe forcefully what they have done. It is for this reason that I believe we must enhance the communication skills of our public servants, and in particular of our officers. General Hathurusinghe has made a start in this regard during his course in the Philippines, and the beneficial consequences of his commitment are not only for him but for the country as a whole. This Prize is evidence that the International Community, and in particular those that matter most to us, countries in Asia that face similar problems to our own, value what we did, both our success in quelling terrorism, but also our commitment to the ordinary citizens who are the victims of terror in several respects. I hope then that this award will be the precursor to wider recognition of what Sri Lanka has achieved. For General Hathurusinghe I know it will simply be a clarion call to achieve even more in Jaffna where he is now stationed. I would like to add my voice to the congratulations conveyed at the felicitation, to an excellent officer and a great companion, and all also offer all good wishes for similar successes in the future to him and his colleagues.